Welcome to the website of the Lions Club of Tavistock in the heart of the South West of England. Our club is proud to be part of Lions Clubs International -click on the logo below to see all the things Lions are doing across the world! Or see our 'What's a Lion' page. Our primary aim is to raise and distribute funds within our local area. This website contains lots of information about the club, our activities and also details of forthcoming events and who to contact for further information. Here is our latest Club photograph - thanks James Bird! and fellow Lion, Christine. Here Peter is presenting ex President Paul German with District Governor, Ian Snell's bannerette. In late July, mother and daughter Tracy and Beth Horton, organised a Zumbathon to raise money for Sepsis UK and Tavistock Lions Club. Around 70 people "enjoyed" the two hour session at the Wharf raising just over £2000 in the process, half of which will be donated to Sepsis UK in memory of Tracy's father who died from it and the other half being given to the Lions for the conversion of the Carnival Princess carriage into a sleigh for Santa Clause and presents for children which the Club plans to distribute around the primary schools just before Christmas. Every year we run a Peace Poster Competition. This is an International competition with the best poster going forward to be judged with all those from the South West. Here is a presentation with the winning school entries. The theme was Kindness Matters. There were 450 entries! The winner was Bethan West from Tavistock College. Here's the sponsor form for this year! "The best procession for years"
Here are some great pictures from James Bird, with his permission and that of the Tavistock Times Gazette. 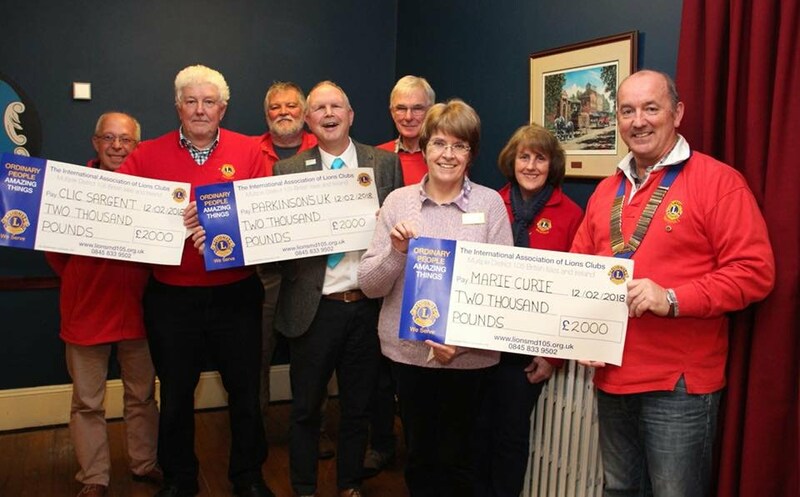 The success of Tavistock town relays in Carnival Week concluded with the presentation of a bumper cheque for Tavistock Lions last week. President Jan Meakin and Alan Wroath from the Lions received £1,500 from various Tavistock Athletic Club members, young and old, representing all abilities for which the club caters. 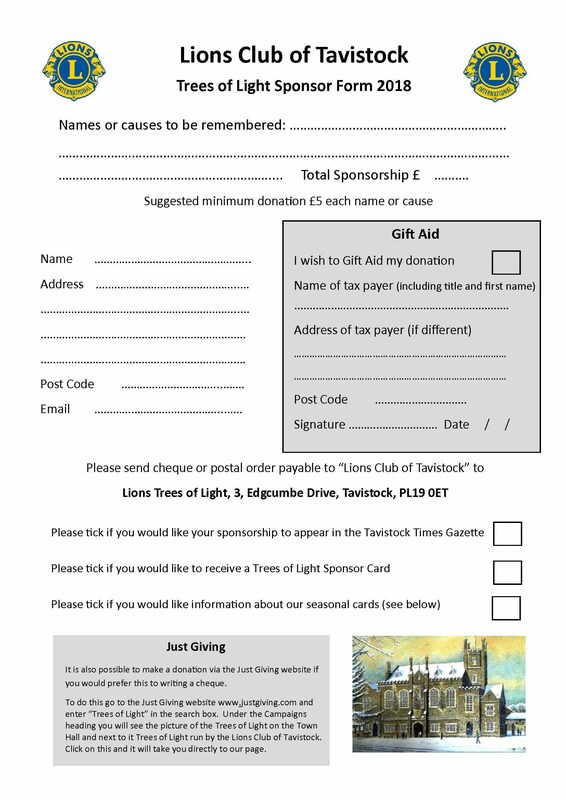 This donation goes directly back into local community projects and good causes at the heart of Tavistock. Event sponsor, Tavistock Hire Centre, was represented by Craig Howells at the presentation. Their support gave the financial clout to allow this year’s event to proceed, giving hundreds of runners of all ages, family and friends the evening they deserve. Planning for next year’s event is under way already with a challenge to make it even bigger and brighter by attracting more sports, school and corporate teams. Did you miss our wonderful Concert in the Church?? The winners of Best in Procession receive a perpetual shield and a trophy to keep. The collection consisted of 46,957 coins made up of 21,508 - 1p, 14,725 - 2p, 6028 - 5p, 1,782 - 10p, 2,084 - 20p, 346 - 50p, 456 - £1, 28 - £2, £95 in notes plus a selection of foreign coins! 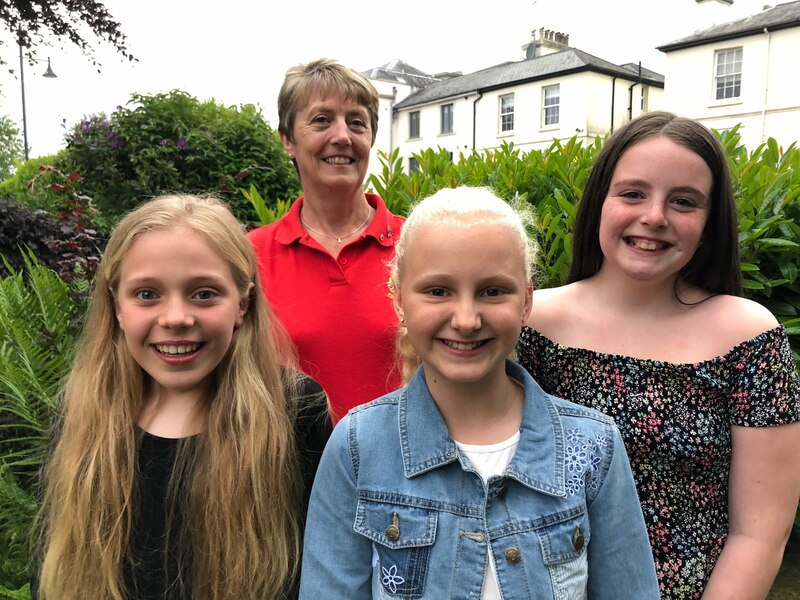 We now have our Carnival Princess and her attendants; Emily Tripp (centre) will be the Princess, with Tilly Young (left) and Verona-May Peters (right) her attendants. And here they are in their wonderful coach, thanks to the brilliant Richard Marlow! Thanks Helen Bowyer for the photo! As well as lighting up Bedford Square at Christmas time, the Trees of Light are a lovely way of remembering loved ones. Lights are sponsored and the money raised goes to three charities who we choose each year. This year £6000 will be divided between CLIC Sargent - a children’s cancer charity, Marie Curie and Parkinsons Uk with a further £900 from Gift Aid. For details on other events throughout the year, visit our events page. investigate membership opportunities, then visit our Membership page.